Sitting too long slows the body’s metabolism. The enzymes that help break down fat drop 90%, blood glucose levels rise and blood pressure increases. After 2 hours of sitting good cholesterol levels drop by 20%. Inactivity has been linked to an increased risk of obesity, heart disease, diabetes, muscular and back issues, DVTs, stroke and depression. Going to the gym or walking for 30-45 minutes a day before and after work IS NOT ENOUGH to counteract these changes. Sitting too much has been found to be an independent risk factor for ill health. Little amounts of regular activity throughout the day is required to reverse these adverse effects. It is advised to get up and move around every 30 minutes. This can include walking around the office, marching on the spot, standing to answer the phone, or simply standing up and stretching. Not only does prolonged sitting affect our overall health, but it also affects our postural muscles. The longer we sit the more fatigued our postural muscles become and this can result in “slouching”. 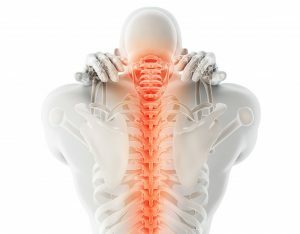 Sitting in a slouched position puts a lot of pressure on the intervertebral discs of the lower back, decreases the activity of the pelvic floor and abdominal muscles, and often results in weakened postural muscles of the shoulders, neck and back; and tight pectoral and hip flexor muscles. This can result in the rounded shoulders, poked chin posture which can then lead to neck, shoulder and back pain. In the meantime some general strategies to avoid sitting at your desk for long periods:Pilates can help reverse these maladaptive postures. At Q Pilates the physiotherapists carry out a full assessment of your movements, posture, muscle length and strength and activation of your core stabilising muscles. We can then design an individualised program to address faulty movement patterns, muscle weaknesses and tightness. We can also advise you on the correct sitting posture to use when sitting at work to minimise pain and discomfort and suggest strategies to avoid the adverse effects of sitting too much. Stand up and move around and stretch often. Alternate working while sitting with standing. Download an app or computer program to remind you to take breaks every 30 minutes. Have walking or standing meetings. Stand when talking on the phone. Meet rather than email or phone your work colleague. Go for a walk at lunchtime and get some fresh air. Move the bin away from your desk.